Car top 10s – Tell our readers what are your top 10 cars and why? Categories could be Classic Cars, Supercars, Hypercars, Beautiful cars, Concept Cars, Cool Cars, Iconic Cars, for example. Road Trips – Tell our readers about road trips that you’ve been on, or that are in your bucket list. You can see some of our examples here. Car related stories – Tell our readers about anything interesting that you think will be of interest to them, this could include reviews of local or national car events, cars you’ve driven, cars you desire and why, etc. New model news – Detailed posts about the latest car models, including basic design features, accompanying images and a personal perspective. Is this model better than last year’s? What do you like about it? What don’t you like about it? Product Reviews – We are always being asked to review new products, would you like to be a tester? Write about products you’ve bought or tested. Fantasy Garage – What cars would you like to put into your fantasy car garage and why? Alternatively search the internet and find car garages that make you envious and tell our readers all about it and why it would be your fantasy garage. You can see a few examples here. Car pride – Share a picture of your car or any sweet cars that you see and I’ll post it on our facebook gallery for all the world to see! Videos – Do you have a video you’d like to share with the car world? Have you seen a very cool video that you think our readers would love? Send us the link and if we like what we see we may post onto our site. Here are some of our video posts, and more can be seen on our Facebook page and our YouTube channel. Spammy links that exist purely for SEO purposes (this will be a paid service). Check out advertise with us. Proper grammar, spelling, punctuation, etc.  Creative Commons or free photos, unless you have obtained permission from the legal owners to post on MyCarHeaven. We reserve the right to make edits to the post, title and photos, though we will run the edits by you first. After we publish your post, please share it with your friends and respond to the comments you receive on MyCarHeaven. Still interested? Great! Please contact us with a link to your personal website, attachments of your relevant writing samples, and an overview of your idea. We’ll let you know what we think!